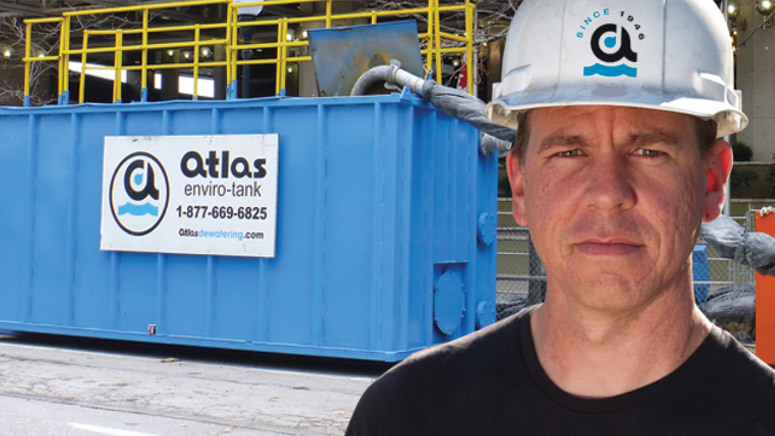 Atlas Dewatering Corporation has been in business since 1946 and prides itself on being an innovator and the market leader in the full service dewatering and bypass pumping industry. Atlas is a specialty contractor involved in the design and implementation of groundwater control systems. Atlas also focuses on bypass pumping systems, providing full, turnkey services, pump rentals, sales and service. Our personnel are key to our success. Atlas is proud to currently employ one of the largest group of the industries trained service personnel. Our staff of employees include long term employees that have remained with us for 30 years and are well versed in the intricacies required to make your project a success. Atlas’ head office and shop facility is located just north of Toronto in Concord, Ontario. Atlas also maintains branch offices throughout Ontario and the northern U.S..
Atlas is seeking a full time, experienced mechanic with knowledge to maintain our centrifugal diesel and electric/hydraulic submersible pump fleet. The person in this role must be a mechanic with the ability to perform diagnosis, service/maintenance and repairs on diesel engines while ensuring high service standards. Experience with pumps, pump ends and related equipment is desired. Our successful candidate will be a proven leader and oversee the team coordination of service and equipment while demonstrating a commitment to innovation and ongoing strategic improvement. Key capabilities of this position include a strong capacity to work with onsite clients and in a shop team environment. Atlas is seeking a sales representative with experience in the pumping industry. The successful candidate will assist in the implementation of the marketing plan and in sales development. The main role is to promote Atlas’ inventory of centrifugal, vacuum, turbine, hydraulic, submersible pumps and related dewatering services. Responsibilities also include expanding a specific sales territory in Southern Ontario. Must have the ability to interact and communicate with clients, government agencies, and within the team to be successful. The Technical Sales Representative will be responsible for client files and ensure attentive follow-up. Supervising pumping system setups is also a function of this position. Atlas is seeking qualified superintendents, foremen, mechanics, operators and laborers. Atlas is seeking new staff to help expand its operations throughout Ontario. The ideal candidate is a recent graduate in civil/environmental engineering. Relevant work experience could include but is not limited to heavy civil, ICI and sewer and watermain construction. Knowledge of contaminated groundwater treatment is also an asset. The position involves reviewing construction plans and specifications, designing appropriate dewatering solutions for diverse projects and managing projects while they are underway. Proficiency with AutoCAD is also considered a strong asset. The successful applicant must have at least two years of experience in the dewatering and construction industries. The position will involve contacting and meeting with potential clients, tracking projects and designing and bidding dewatering systems. The successful applicant’s area of responsibility will be the Mid-West, with a primary emphasis on Illinois and northern Indiana. The successful applicant must have strong communication and computer skills, be results and growth oriented and have a willingness to travel. The successful applicant must have at least two years of experience in the dewatering and construction industries. The position will involve contacting and meeting with potential clients, tracking projects and designing and bidding dewatering systems. The successful applicant’s area of responsibility will be the Mid-Atlantic States including Maryland, Delaware, Virginia, and Eastern Pennsylvania. The successful applicant must have at least two years of experience in the dewatering and construction industries. The position will involve contacting and meeting with potential clients, tracking projects and designing and bidding dewatering systems. The successful applicant’s area of responsibility will be the North-East, with a primary emphasis on New England, New York, Western Pennsylvania and New Jersey.